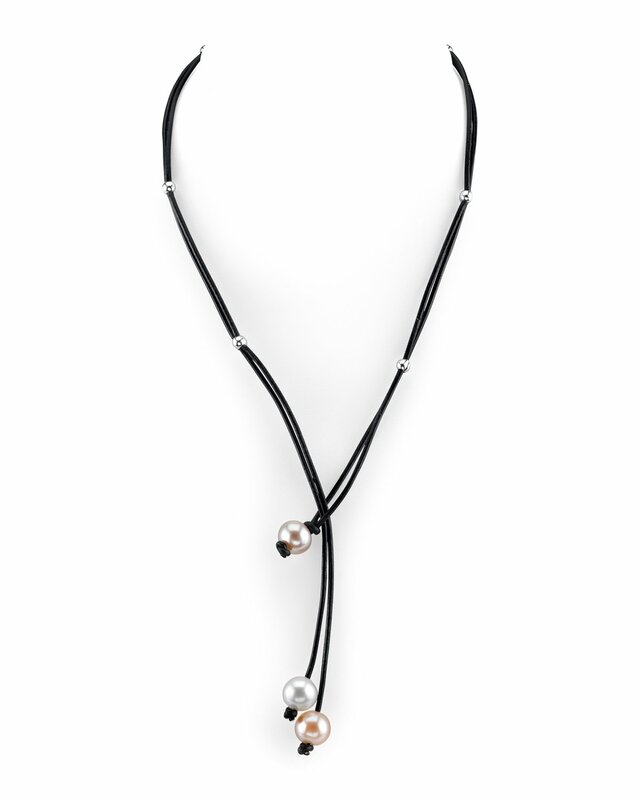 This chic pearl necklace features three 9mm multicolor freshwater pearls, hand-picked for their radiant luster. The pearls are strung on two strands of the finest genuine leather with six sterling silver rondelle beads. The necklace is 18 inches in length.